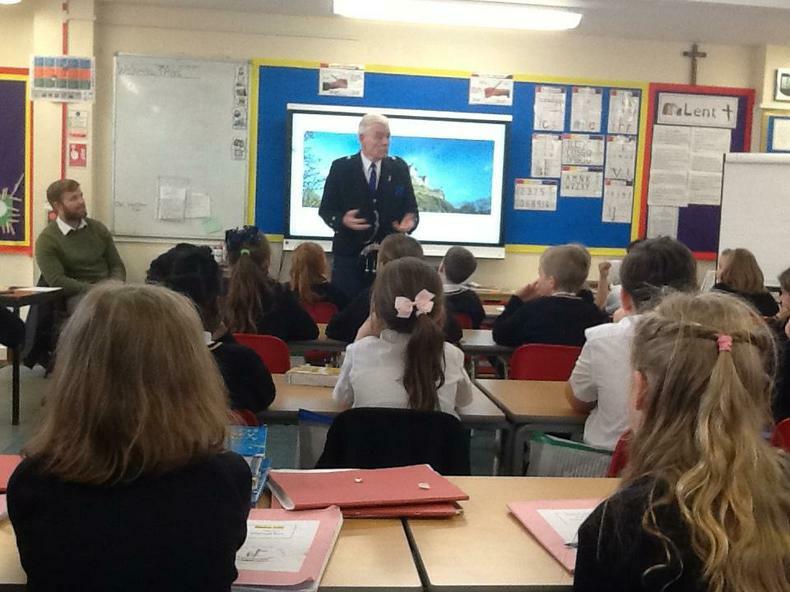 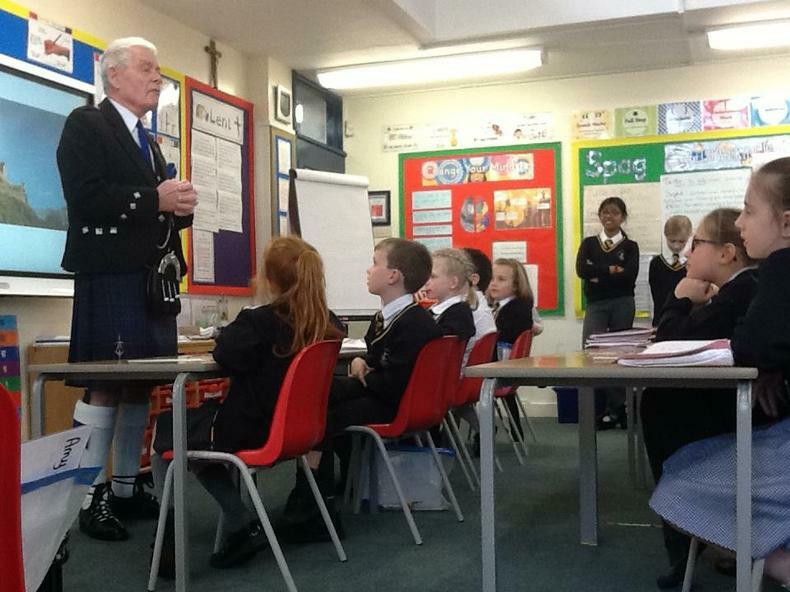 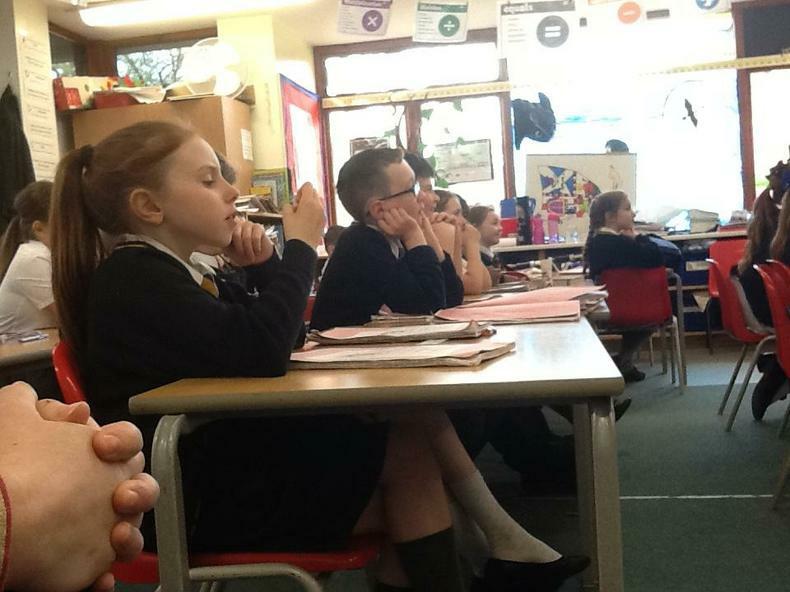 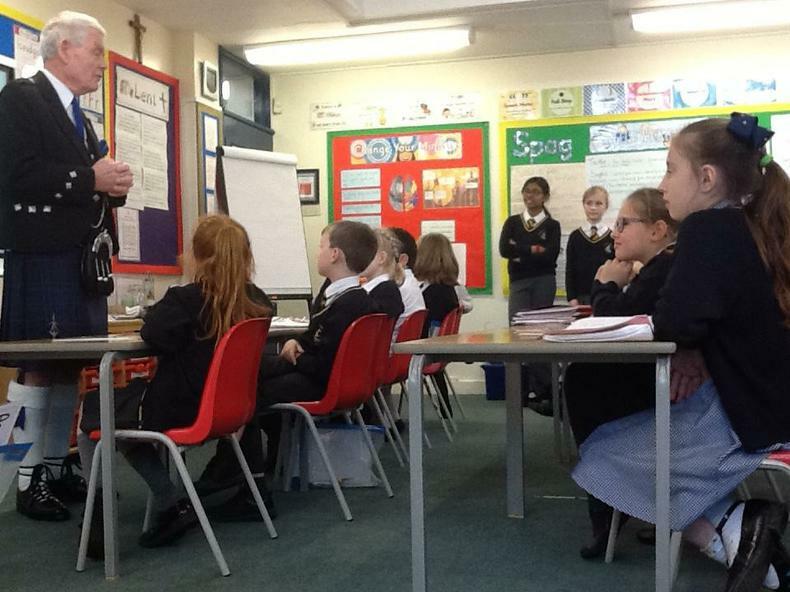 This week, Year 4 were fortunate enough to have a special visitor. 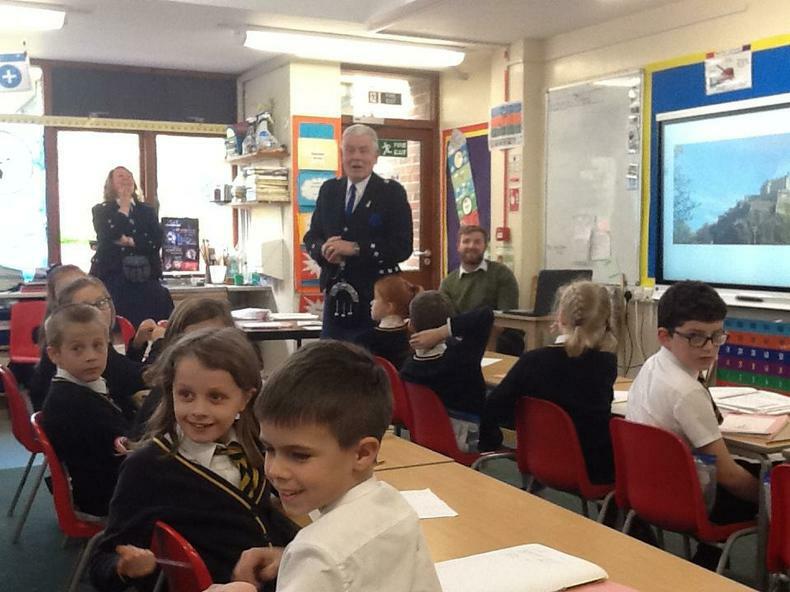 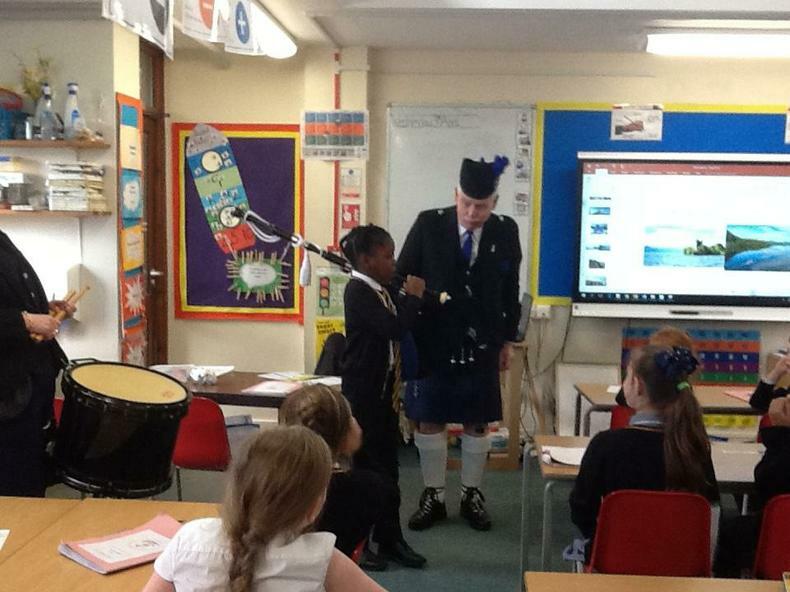 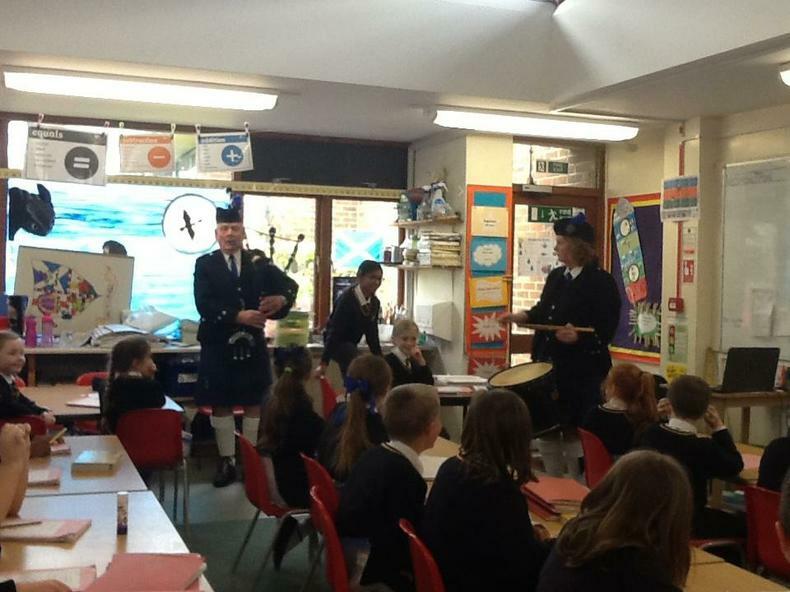 Halfway through a pretend spelling test, Mrs Dreelan and her bandmate, Joe, came marching into the classroom playing the drums and the bagpipes. 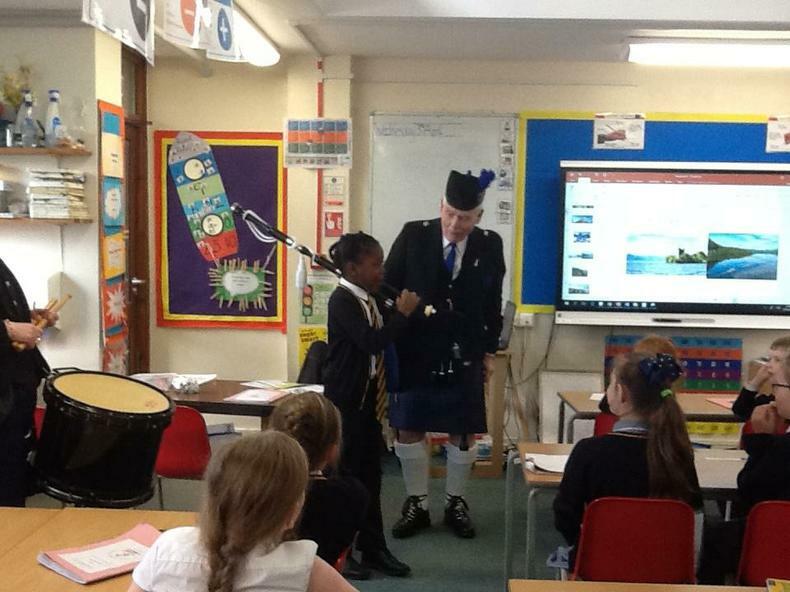 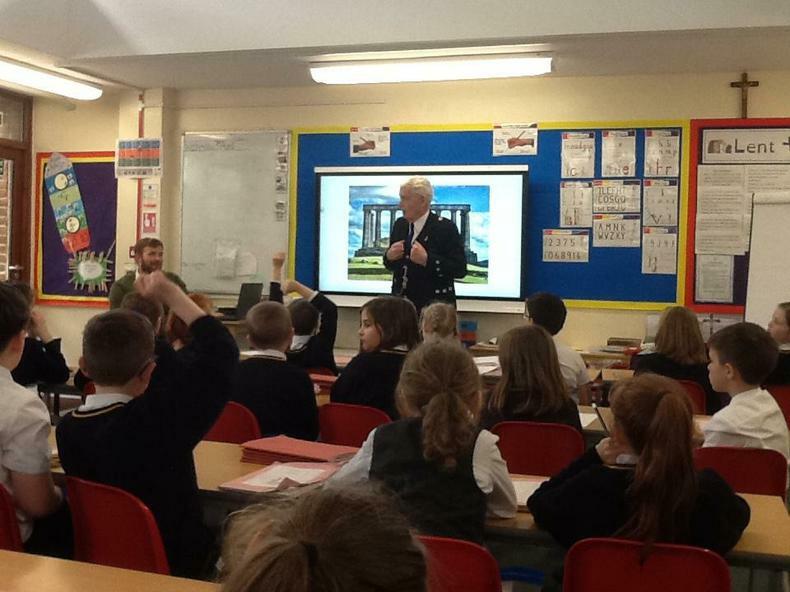 Joe told us all about the different landmarks of Scotland and his experiences growing up there. 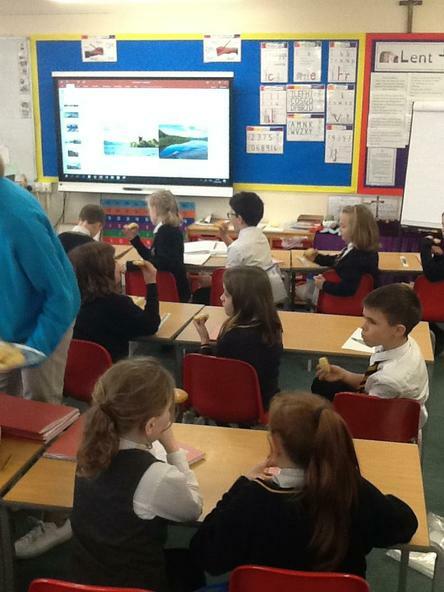 We were told about, Arthur's Seat, Edinburgh Castle, Glasgow's rich history, Forth Bridge, Holyrood Palace, Loch Ness and Loch Lomond, Battle of Culloden, Hadrian's Wall, Ben Nevis and much more! 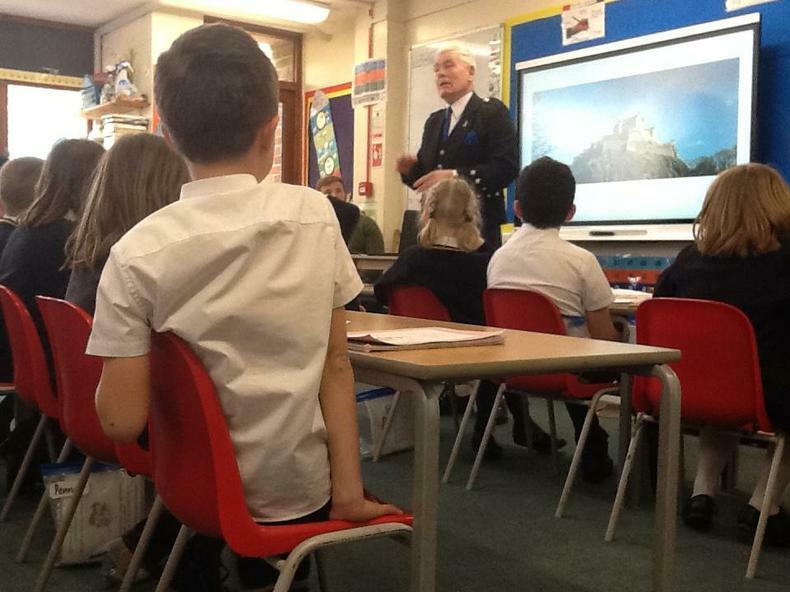 It is fair to say we all learned a lot! 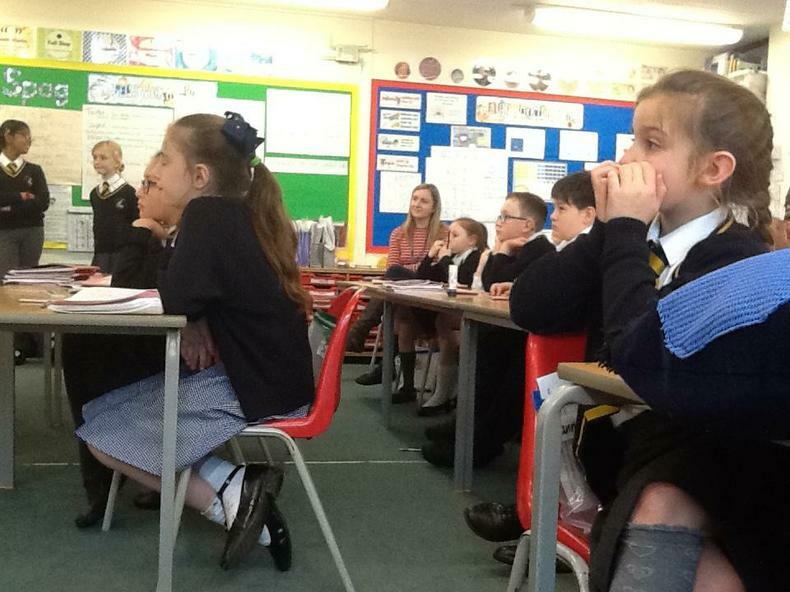 Unfortunately, the video clips are too large to upload but please enjoy the pictures.